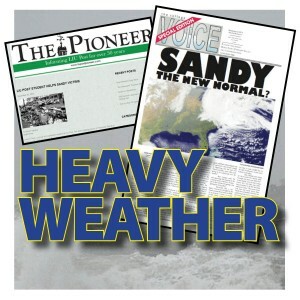 In December 2012, College Media Review reported about the effects of Hurricane Sandy on the Pioneer at LIU Post on Long Island, and the College Voice at Mercer County Community College in New Jersey. Both campuses shut down, students were sent home, power was lost for days and publishing the student newspapers was, to put it mildly, a challenge. Disaster and emergency planning can help media prepare for the unexpected. (Background photo Brian Birke, Creative Commons). In the case of the Pioneer, the outside printing company for the newspaper couldn’t have printed the paper even if it had had power; it lost its roof to the storm. 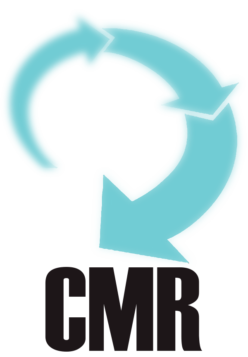 The 2012 CMR article, “When Disaster Strikes A College Community,” advised college media organizations to make contingency plans in the event of an unanticipated catastrophe similar to Hurricane Sandy. Yet, over a year later, an informal email survey of college media advisers suggests that many organizations do not yet have such contingency plans. The Tulane Hullabaloo may be one of the few student publications with a detailed Hurricane Plan. In 2005, Katrina forced the Hullabaloo staff to disperse around the country for approximately six months. Yet, the Hullabaloo survived, even thrived. After Katrina, Chantal Bailliet, Tulane’s director for student media, created a “newspaper in a box.” The Hullabaloo is now ready to pack all necessary publishing components and operate remotely. The plan, published in this CMR issue, includes Pre Plans, five phases during a hurricane and three possible post-storm scenarios. Yet, it is not only natural disasters that require planning and foresight. Just a few months after surviving Hurricane Sandy, the Pioneer at LIU Post was hit with another catastrophe, albeit not related to the weather. The editors-in-chief returned from intersession on Jan. 16, 2013, to find the layout computers in the locked newsroom stolen. While authorities investigated, the editors focused on figuring out how to get their first issue of the spring semester published without computers, templates or files. The iMacs that were missing were the most important ones in the newsroom, containing all of the newspaper templates and all of the Pioneer history. The Pioneer quickly requested “loaner” computers from the school’s IT department, worked on filing an insurance claim and ordered new computers. By Jan. 22, the loaner computers were installed, and the staff was able publish the first issue without delay. In the process, the Pioneer staff learned several vital lessons and adopted new safeguards, including bolting new computers to the wall of the newsroom with heavy cables in order to prevent unauthorized removal. Staff also backed up layout files; in the event of a similar disaster in the future, they would not be forced once again to start from scratch. “When I returned from winter break, to my utter shock and ultimate horror, I walked into a layout room without computers to do the job, just days before our first issue was due. That unfortunate event definitely taught us a number of precautionary steps that should be taken, ‘just in case,’’’ she says. Securing computers to prevent unauthorized removal. The Pioneer bolted its new computers to the wall of the newsroom with heavy cables. Keeping a close eye on who has keys the newsroom. Getting in touch with the department responsible for logging university computers and making sure each newspaper computer is accurately logged. Backing up layout files to avoid having to start from scratch. “Any new editor should make sure that computers with crucial newspaper information are backed up to an external hard drive which is kept in a very safe place. For double-backup protection, using the Mac’s cloud function is a great idea,” Wicik says. Installing security cameras. “If one has the resources, I think surveillance cameras would be the ultimate help,” Wicik says. There is no one template that works for all organizations when it comes to emergency plans for theft, fires and natural disasters. Develop an emergency response plan. Find evacuation routes and establish meeting places. Make sure all employees understand the plan beforehand. Keep emergency phone numbers handy. Write down everything and distribute it to each employee. Then talk about it at least once every six months as a reminder. Create a “disaster survival kit” for your business, including flashlights, portable radios, extra batteries, first aid supplies, non-perishable food, bottled water, basic tools, plastic sheeting, garbage bags, cash and a digital camera to take pictures of the damage. Store kits in several locations in your business building, and let employees know where to find them. When the lights go out or employees are trapped in a building, they need to know where to go to get their hands on these survival kits. Designate a contact person to communicate with other employees, customers and vendors and to serve as a point of contact with information about recovery, relocation and other issues. Make sure that person is equipped with vital phone numbers, and remember that cell phone coverage may be sporadic in a disaster. Make sure you have adequate insurance coverage. Keep physical records (documents and computer data) in a safe location. A fire-proof box in your office is not going to do it. If there is a tornado or hurricane, that box could be flying through the air; if there is a flood, it could be under a foot of water. You can also put scanned documents on a CD or flash drive. If you have important software (financial or proprietary software, or software for your particular kind of business) make a copy if you can and put that software in a safe place, along with your data. For example, if you have your financial data on QuickBooks and you don’t have the program, you may find it difficult to retrieve the data when you need. 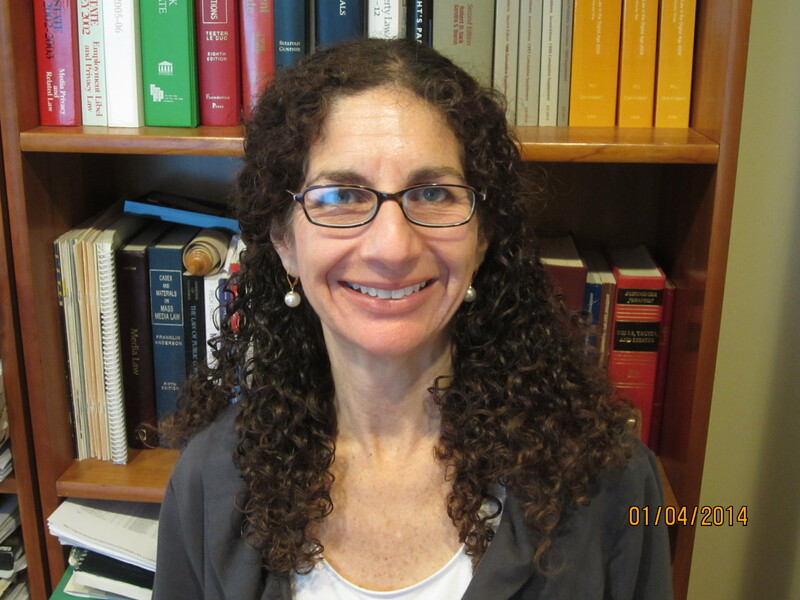 Carolyn Schurr Levin is an attorney specializing in Media Law and the First Amendment. She has practiced law for over 25 years, including as the Vice President and General Counsel of Ziff Davis Media, the Vice President and General Counsel of Newsday, and a Litigation Associate at Corbin Silverman and Sanseverino, and Cravath, Swaine & Moore. She is admitted to the bars of New York, Connecticut and the District of Columbia. 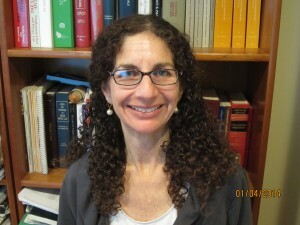 Levin currently teaches Media Law & Ethics and other related courses at LIU Post, and is the Faculty Adviser for the Pioneer, the LIU Post student newspaper. Levin is also a Lecturer and the Media Law Adviser for the School of Journalism at SUNY Stonybrook. As a freelance writer, Levin has been published in the New York Times Book Review, New York Law Journal, American Bar Association Journal, Corporate Counsel newsletter, Barrister magazine, Student Press Law Center Report, Special Counsel newsletter, and College Media Review. Levin earned a J.D. from the University of Chicago Law School, a B.A. from Johns Hopkins University, and a Certificate in Journalism from New York University.